It is a simple and delicious Indo Chinese appetizer. You can make it easily at your home. 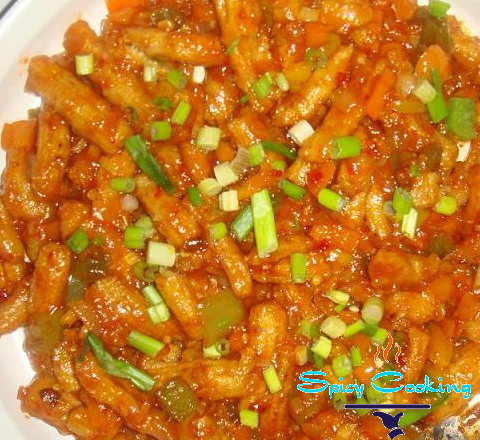 Baby corn Manchurian is of two types, one is baby corn dry manchurian and other is baby corn manchurian gravy. It is up to you to decide what kind you want to make today. Here is the recipe for gravy manchurian for you, it is not very different than dry kind. Read on to find the process for dry manchurian as well. Take a pan, wash the cut baby corn and drain all the water. Now take the all purpose flour and corn flour, mix it well. To this mixture add salt, ginger garlic paste, red chili powder, crushed black pepper, water and make paste. The paste should not be so thick or thin. Mix this baby corn with this batter. Take another pan and add oil for deep frying. When oil becomes hot fry these baby corn till it turns to golden brown. Remove the baby corn from oil and drain excess oil using paper towel. Take another pan add 2tbsp oil, when oil become hot add minced ginger, garlic and give quick toss. 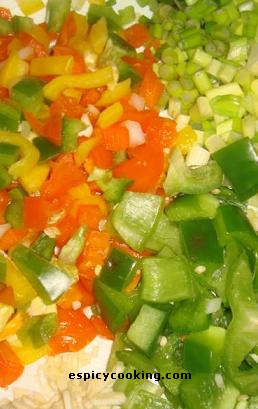 Add chopped onion and chopped bell pepper and fry it for 1-2 minutes. Add soya sauce, chili sauce, tomato sauce and color to this, mix it well. Remember if you are trying to make dry baby corn manchurian then add less water to make this gravy. Now mix all the fried baby corns to this gravy. At last add vinegar to this corn and mix well. Garnish this with chopped spring onion. Now the baby corn manchurian is ready to serve. Enjoy the delicious starter with your family, friends and in-case you have any doubt or any new ideas don’t forget to comment here. The recipe is very nice and it i very easy to prepare thanks a lot. The recipe is very nice. It taste also too good. Thanks Archana and poovizhithiyagarajan. You can also check some of my other vegetarian recipes and let me know how it comes out.